Having rolling shutter jello effect in your aerial video can be difficult to remove. To fix rolling shutter may only require a simple change or it may take different solutions to drastically reduce the jello effect. It really can be a headache and disappointing if your aerial footage is badly affected. You may be filming beautiful scenery but with vibration from the UAV finding its way down to the camera, your time and effort will have gone to waste. If you’re in business and filming real estate, hotel resorts, even surveying etc, then having rolling shutter video is a disaster. The rolling shutter jello also effects your still shots so it really is a big problem. This article along with videos will show you how to fix rolling shutter or drastically reduce it from your existing aerial footage. Flying and filming slightly different or planning your filming will definitely reduce the jello effect. Read these drone aerial filming tips and camera best settings, which along with the information below, will assist or help eliminate the rolling shutter effect going forward. Rolling shutter also known as jello effect appears when the camera is vibrating. It can happen in situations such as aerial filming, hand-held shots at telephoto settings, or when shooting from a moving vehicle. The rolling shutter causes the image to wobble unnaturally. DSLRs or cameras with CMOS sensors come equipped with rolling shutters. Usually the rolling shutter process is so quick we don’t even notice it. Generally jello issues arise when filming quick pans or filming fast moving subjects. Quick pans make the image wobble like jello and images can become skewed with straight lines becoming distorted. Skew: The image bends diagonally in one direction or another as the camera or subject moves from one side to another, exposing different parts of the image at different times. Skew is a minor manifestation of the wobble phenomenon described above. Smear: This effect can be easily viewed with a cell phone camera and something rotating quickly, such as a propeller. 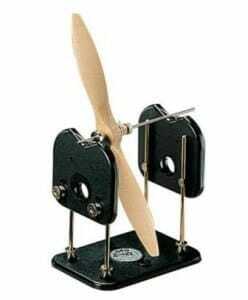 The smear of each blade is caused by the propeller rotating at the same or near the same speed that the frame is read by the camera. Viewed perpendicular to a fan spinning clockwise, the blades on the left side appear thinner than usual while the blades on the right side appear thicker, and can even appear as if they aren’t connected at the center. Partial Exposure: If a camera flash goes on for only part of the time of the exposure, the illumination of the flash may only be present for some rows of pixels in a given frame. For example, the top 1/3 of the picture may be brightly lit by a flash, while the bottom 2/3 of the picture is dark and unlit, as the flash was off by the time that part of the CMOS was sequenced. The difference between the two distinct parts of the frame can look odd. Similar problems can arise with fluorescent lighting, strobe effects, lightning, or any extreme situation where very fast motion or very fast bursts of light are seen in the time between when the CMOS chip sequentially records a frame. Fly at a slower pace and also shoot at slower shutter speeds so the motion blur can mask the rolling shutter effects. Rolling shutter effects can happen when you’re moving quickly causing more vibration. Try filming at 60 frames per second. Use a top rated Du-Bro 499 Tru-Spin Prop Balancer to insure your props are stabilized. You would think that your props would be well stabilized from the factory but that isn’t always the case. You would need to check the props are stabilized every couple of flights. Your props being stabilized with give you better aerial footage and a better flying experience. Bad prop balance leads to erratic flying. High quality motor and propellers greatly reduce vibrations to the drone. Propeller diameter and pitch are important considerations. You can read more on quadcopter motor and propeller design here. The gimbal dampers absorb vibration from the drone getting to the camera. Upgrade the quality of your gimbal uav dampers and the jello effect will be dramatically reduced if not fully removed. Check the camera enclosure. If the camera is loose in the enclosure then it is going to move about. The factory case may not always be the best. 3rd party providers may have a better fix. If your quadcopter is one or two years old and is a popular brand, then their may be a better drone gimbal on the market either from the original manufacturer or from a 3rd party. The speed of innovation has been vast and many parts suppliers have entered the market. It is worth a look on Amazon or write to the manufacturer if you can’t find anything on their website. If the jello effect is in a subject that is not the primary focus, then recompose the shot so the object is not within the scene. If a propeller blade is not necessary to be in the shot, then move your camera around so the viewer can no longer see that propeller. If the skew is occurring in something in the background, you can attempt to blur it out by changing your depth of field. If you are only getting a slight bit of jello effect in your video, then using a Neutral-Density filter or ND filter could be the solution to fixing the jello effect. The ND filter preserves colors, while modifying the intensity of light. In fact, you should carry and use various lens filters which will add that extra bit of clarity and color to your aerial videos. 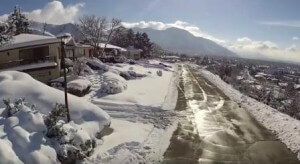 Here is an short video which shows how an ND filter fixes jello effect in aerial footage. The best option is to stop the rolling shutter effect at source. If that is not possible with the above tips or there is still some jello effect in your video, then look to some software to fix the problem. Here are a 3 software solutions to fix rolling shutter. Adobe After Affects Warp Stabilizer for stabilizing shaky video. Final Cut Pro X corrects excessive shake and rolling shutter issues. This software is from apple but there is also a windows version. The best solution for rolling shutter is not to have it in the first place. The latest trends in drones is the integrated gimbal and camera. 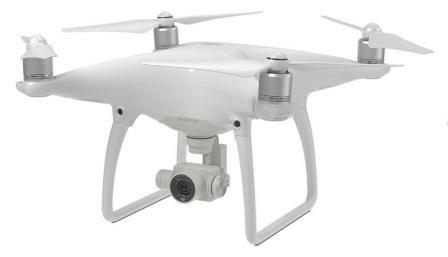 This gives the manufacturer total control over the quality of the aerial footage. Drones with the gimbal and camera integrated is producing the best aerial cinematography. These latest top drones have excellent stabilization along with 4k cameras. These drone are producing perfect professional video. 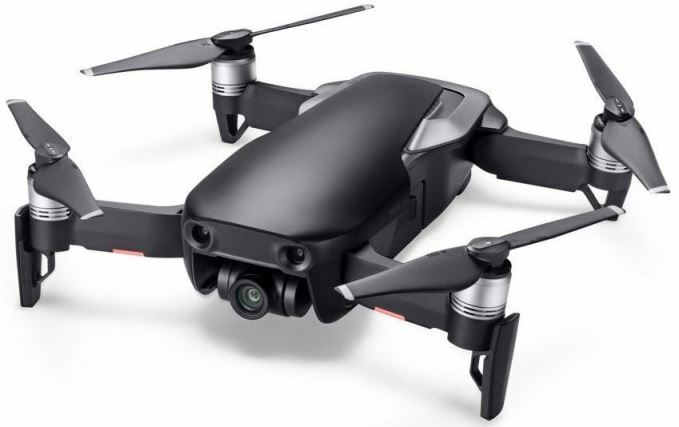 These latest drones have gyro stabilization as part of the flight controller and the camera gimbal also includes gyro stabilization. So these latest drones on the market have many ways to stabilize the camera and the drones flight even in windy conditions. Another problem for Aerial Cinematographers is an angled or tilted horizon. Some of the earlier drones such as the Phantom 3 had this problem. Here is an excellent article which explains how to fix horizon tilt. To finish this post, I have 3 of videos. This first video explains a bit more about the rolling shutter effect and to fix rolling shutter. This video is slightly older. However, it shows you how bad the problem of rolling shutter can be. It also has a few great fixes for rolling shutter. Here’s a comparison of the Final Cut Pro X vs the Adobe Warp Stabilizer (After Effects) software solution for fixing rolling shutter.